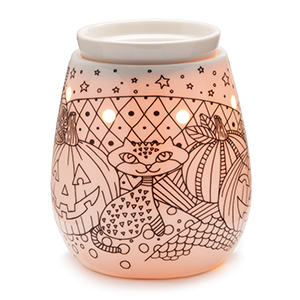 Bring your own Halloween legend to life with this do-it-yourself Warmer and a set of permanent colored markers. Apply haunting hues or more buoyant shades to create the look and feel that best suits your All Hallow’s Eve. Markers not included.